The Dimplex AC range of over door heaters provide multi-directional, powerful and efficient heating and can be installed in almost any small doorway such as shops and offices. 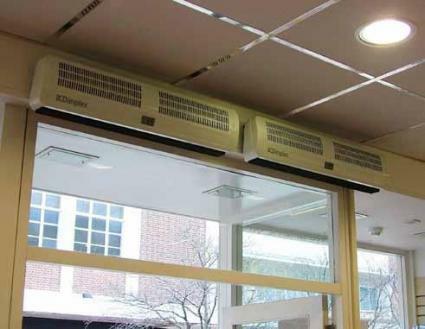 The Dimplex AC air heaters provide a warm airflow at the entrance to commercial buildings to allow for doors to remain open to encourage visitors and customers to enter and receive a 'warm welcome'. AC over door heaters are also ideal for any applications where a high-level fan heater is required and can be supplied with a remote control function.